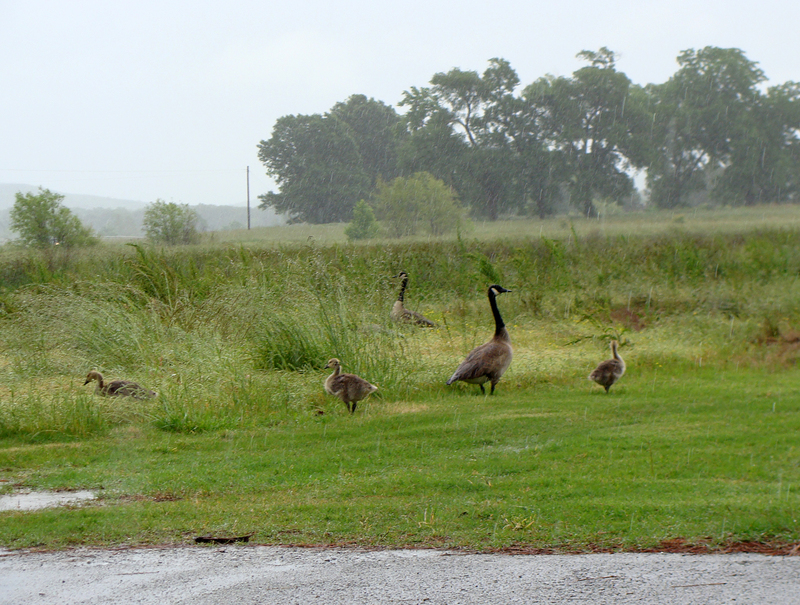 Goose and pair of goslings on a family outing in the rain in Goshen, Arkansas. There were two families of geese with goslings close in age. The group seemed to move together always in the two days we saw them. 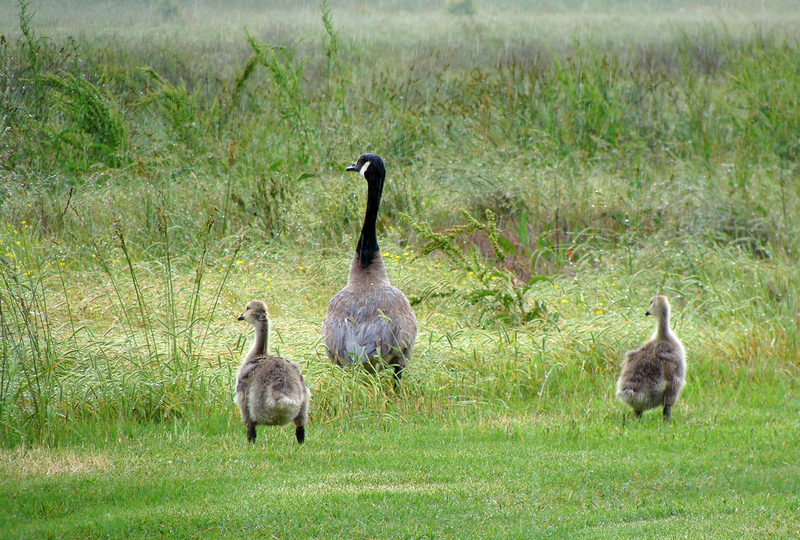 Goose and goslings on a family outing in Goshen, Arkansas. Two families of Canada geese stick together in a subdivision pond in Goshen, Arkansas. A great blue heron stalks frogs and other prey in a pond near the White River in northwestern Arkansas, against tall grass spangled in wildflowers. 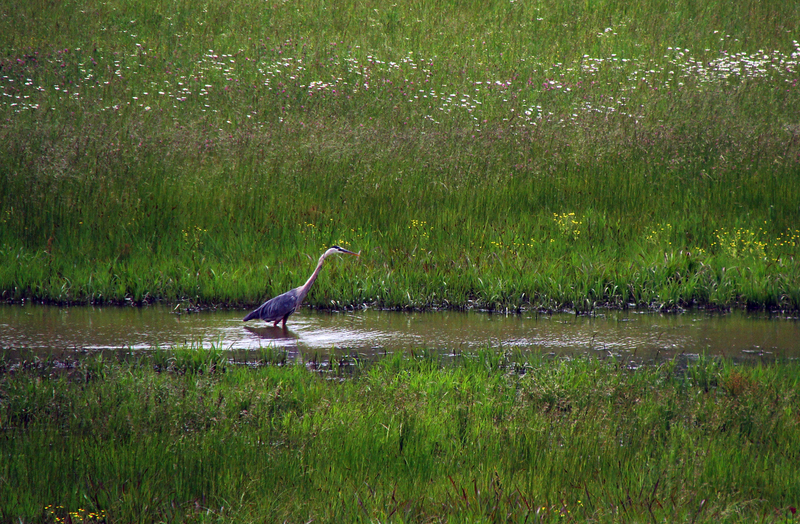 Great blue heron seeks frogs in a shallow, rain-expanded pond. 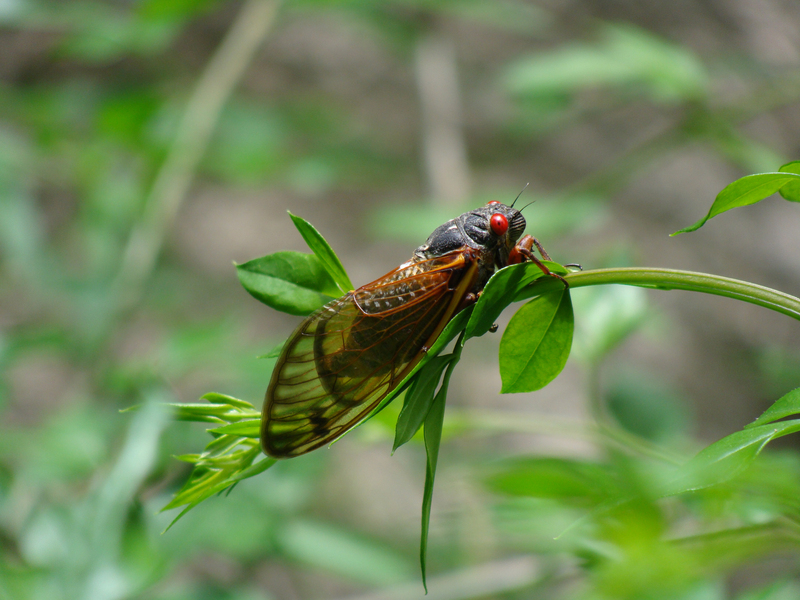 The sound of insect love songs is filling the air in central and eastern Arkansas as Brood XXIII, one of the 13-year cycle of cicadas, emerges from the ground for its short, post-dirt life looking to make another brood that will emerge in 2028. Looking for love. One of the millions of Brood XXIII cicadas that emerged earlier this month on its short mating life above ground. The ground around the office was littered with holes from whence the cicadas emerged. Shell of its former self — what’s shed after the cicadas emerge. 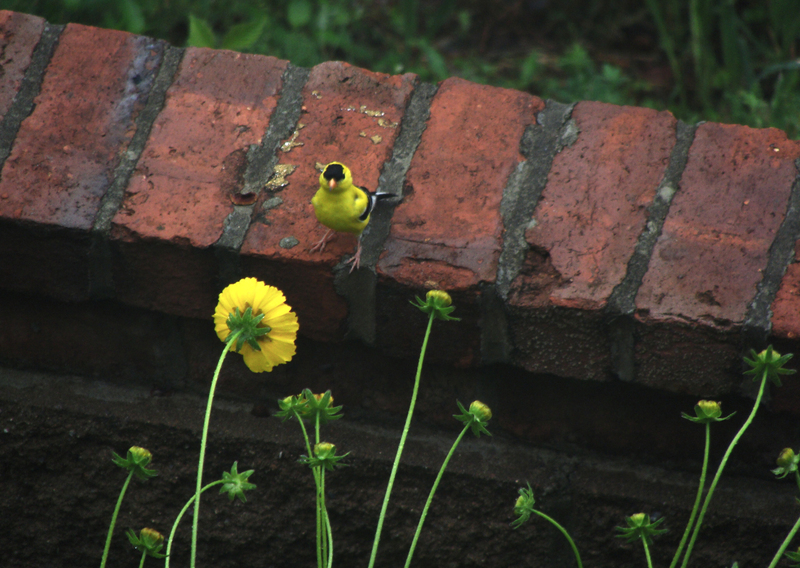 This little goldfinch seemed to be communing with his floral equivalent. 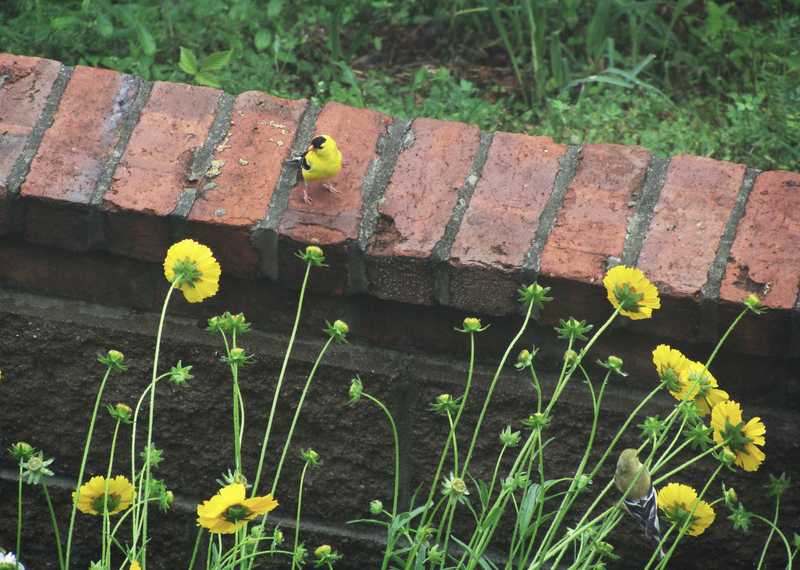 Goldfinch makes an early Saturday visit. The goldfinch was actually keeping up with a love interest — hiding in the lower right hand corner of the image. Hard to believe it’s been almost a month since we last posted. Spring is in full stride here atop the Stanley Shale and there’s been an explosion of birds it seems. Most exciting was the arrival of the Baltimore Orioles. Ever since I was a little kid, I’d always wanted to see one (of the non-baseball variety), and suddenly four appear on our deck! Turns out April 27 was a great day for bird-spotting and was happy to hit the colorful bird trifecta — orange, blue and red as the orioles, indigo buntings and summer tanagers all came out to show off. Indigo bunting atop his favorite singing place. Two Baltimore Orioles make use of the hummingbird feeder. Summer tanager stands out against the almost full canopy.